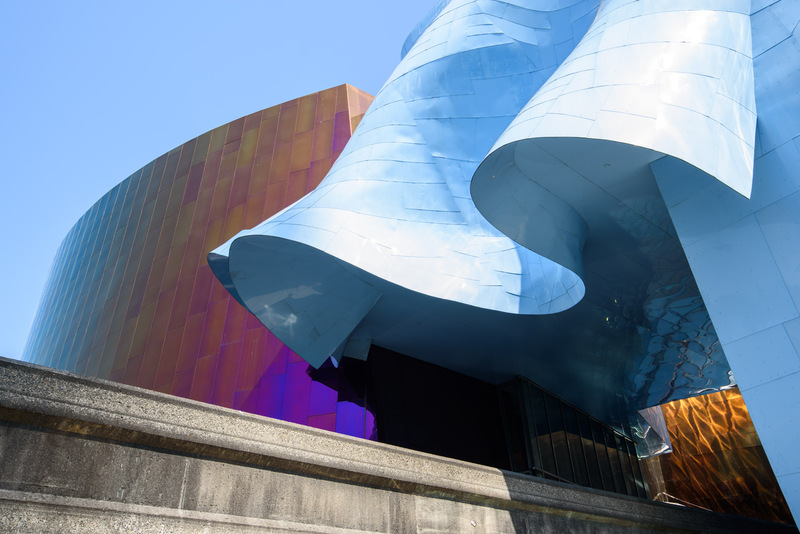 When Frank O. Gehry began designing the museum, he was inspired to create a structure that evoked the rock ‘n’ roll experience. He purchased several electric guitars, sliced them into pieces, and used them as building blocks for an early model design. 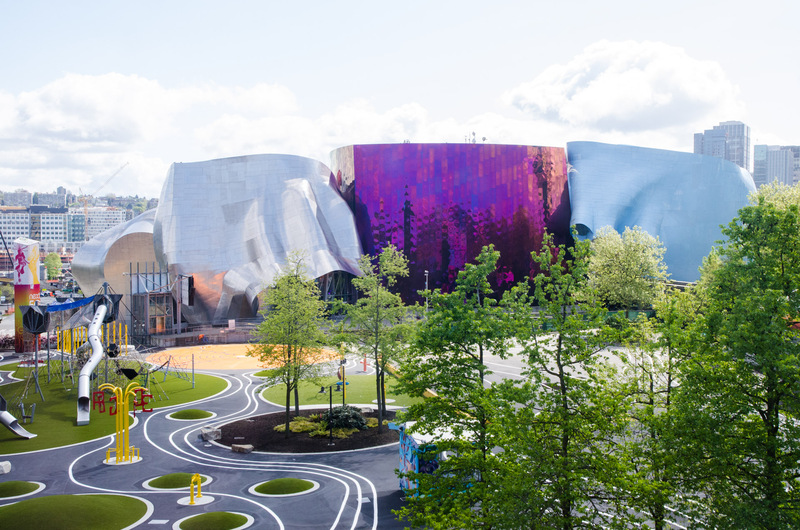 MoPOP is the first commercial project Gehry has designed in the Pacific Northwest. 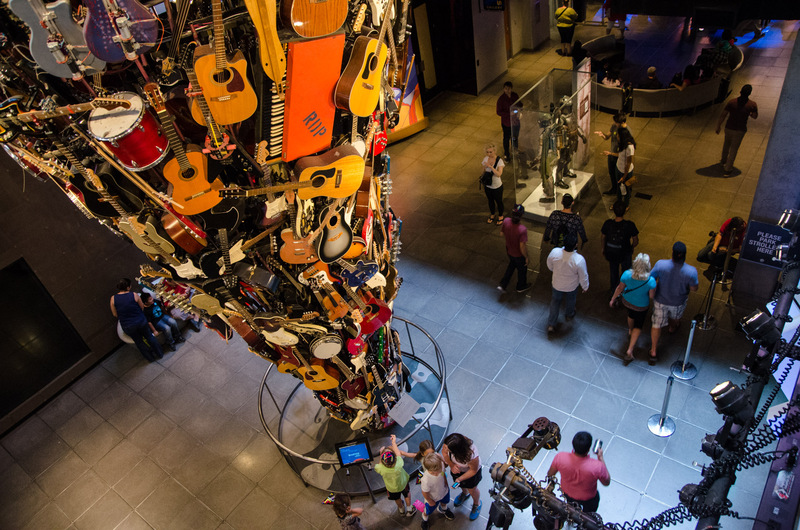 The Museum of Pop Culture (formerly EMP Museum) is located at 325 5th Avenue N at Seattle Center. 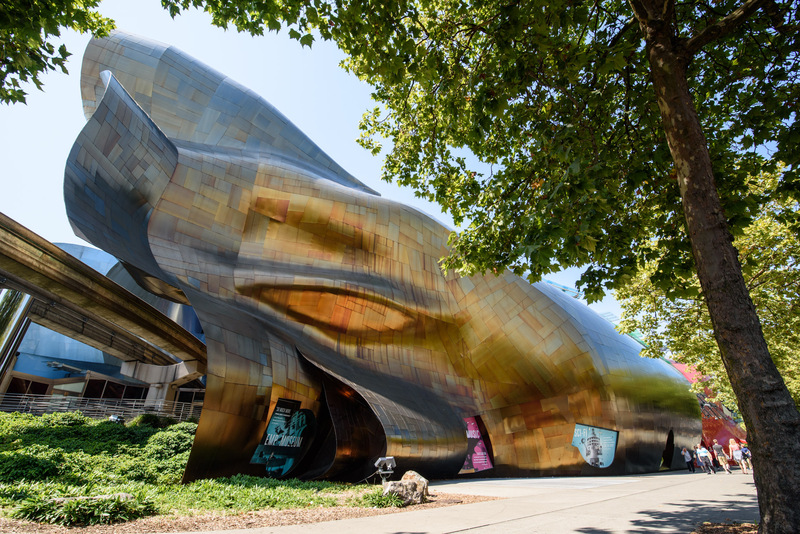 Frank O. Gehry is the first architect to use Dassault Systèmes' CATIA in the creation of his highly shaped metal buildings. CATIA allows a sculptural form to be digitized into a 3-D electronic model that can be used for the engineering of building systems and the fabrication of building elements. Invented by Dassault Systèmes for the design of Mirage fighter jets, CATIA is now the primary computer design tool for Boeing and Chrysler.